What does the Lord require of you but to do justice, love kindness, and to walk humbly with your God. 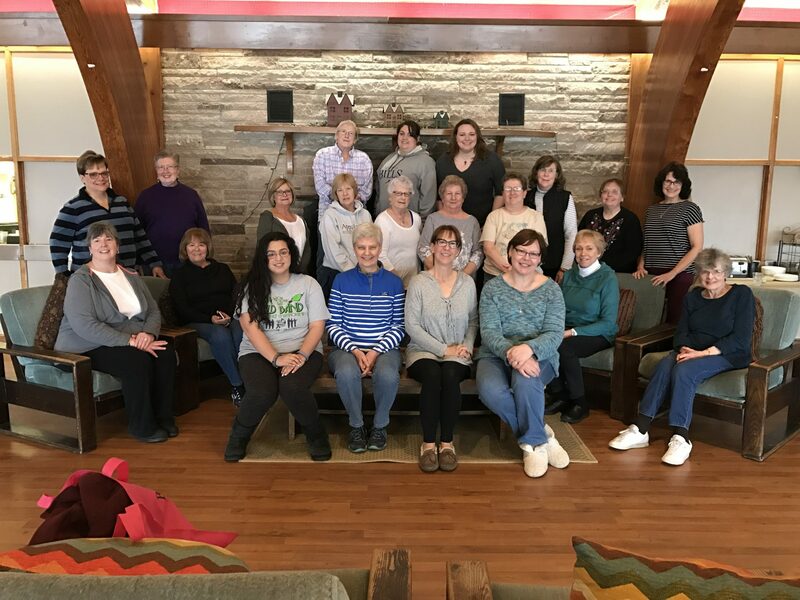 Our congregational programs include the Parish Nurse Program, Shepherd Caring Ministry, an annual Women’s Retreat, and coordinating funeral receptions to support grieving families. Social Ministry also coordinates additional fun programs like a Chili Cook-Off, Uno Card Game Night, a Talent Show, plus programs to support the Shortz Scholarship Program (our “Just Desserts” Tasting and Competition). The team coordinates the weekly Coffee Hours between our worship services, encouraging volunteers to provide coffee and a few simple snacks to share with attendees while they socialize and build relationships. The Social Ministry Committee works with the social workers and student support services in the Webster Central School District at the elementary, middle and high school levels to help to alleviate food insecurity and other essential shortages. While students may qualify for meal subsidies during the school day, what happens on weekends and days off from school? At the elementary schools, Food Backpacks are provided to students identified by the school’s professional staff since 2011. At the middle school and high school level, needs are a bit different. 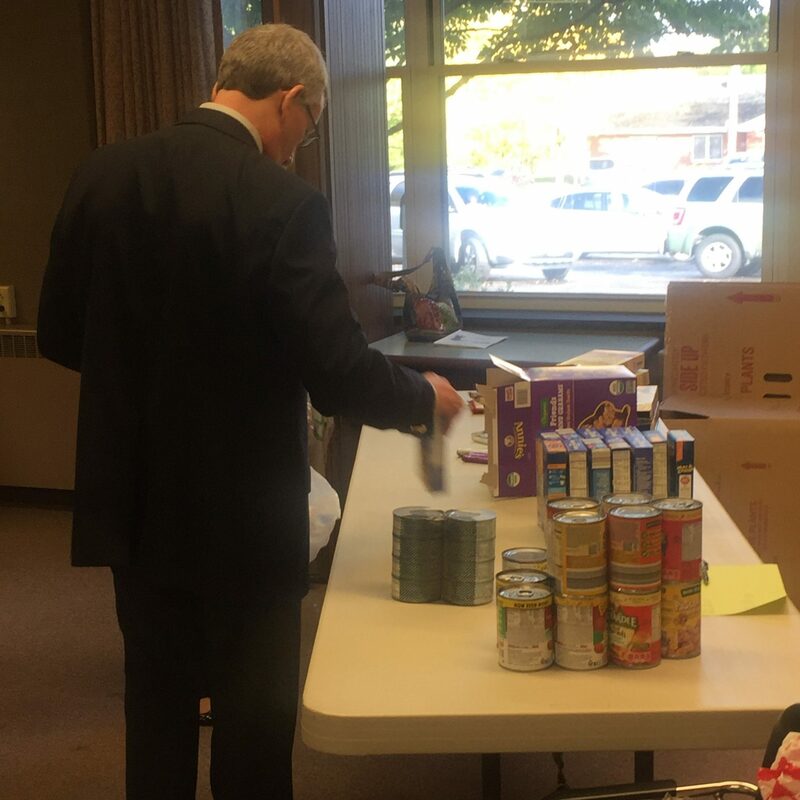 Here, Pantries are stocked with essentials like shelf-stable food and personal hygiene items. The Social Ministry Committee works with The Table @ RIT/Protestant Campus Ministry for the RIT/NTID Campus to provide a hearty meal to this student community after their worship service on Sunday evenings during the academic year. The Immanuel community also volunteers at our sister congregation, Incarnate Word Lutheran Church in Rochester, to cook and staff an amazing community dinner at Incarnate Word’s Mustard Seed Kitchen. At this meal, diners (primarily homeless or other food insecure individuals) are welcomed as cherished guests, provided with a substantial healthy meal served to them at their seats, warm drinks, and an opportunity for fellowship if desired, all within a safe and comfortable setting. On a national and international level, the Social Ministry Committee coordinates some of the Immanuel social justice efforts, while others are coordinated by other Immanuel committees or church bodies. Social Ministry does several “in-gathering” events throughout the year. School supplies are gathered all summer long and then kitted up and sent to Lutheran World Relief for worldwide distribution. In the early fall, warm waterproof mittens, toasty hats and women’s long underwear are gathered for distribution at our Rochester city congregations. Immanuel also participates in the ELCA’s annual God’s Work, Our Hands Campaign, coordinating efforts with other local Lutheran congregations to address needs in our community in a visible way. Additionally, Immanuel supports the national church’s global relief efforts with an annual fundraiser allowing individuals to support specific projects (clean water, animal husbandry, local education for girls, medical clinics, etc) internationally.